NASTO Notes 2018: Gee Whiz! · Electric vehicles – Hydro Quebec (blessed with hydroelectric power) investing hugely in Fast Chargers, which they view as “the crux of the matter” and “the determining factor” in spurring the uptake of EVs. · Automated vehicles – Lots of angst following the Tempe pedestrian death in March, but still advancing rapidly. · Personal delivery vehicles – Expect sidewalk robots as well as drones! This is not even to mention Hyperloop (!) (not on the program but the subject of a lot of talk), which Maryland seems to be actively pursuing in partnership with Elon Musk (story here). 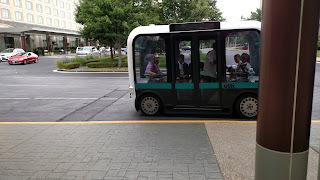 Special notice goes to OLLI, the automated shuttle, which NASTO goers got to experience on a test ride. We also got to see some of the design lab work at the builder, Local Motors, a cutting edge company called Local Motors (see their website here) which specializes in 3D printing and robotics technology. 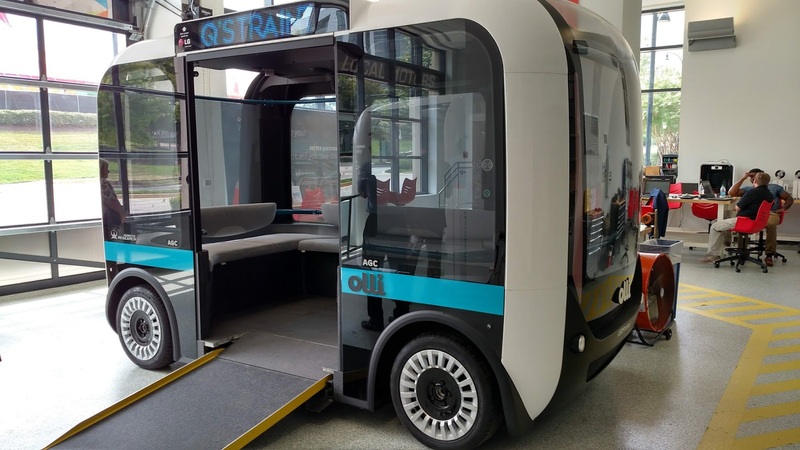 OLLI is a very promising candidate for “first mile, last mile” shuttle applications and the company plans to be in revenue service at some pilot locations within months. 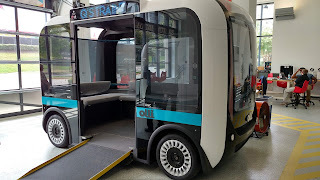 The engineers feel confident that they can overcome fears about automated travel by loading up OLLI with a comprehensive, sophisticated (and expensive) suite of sensors that would not be affordable on personal vehicles. Hope to see them on the road soon!